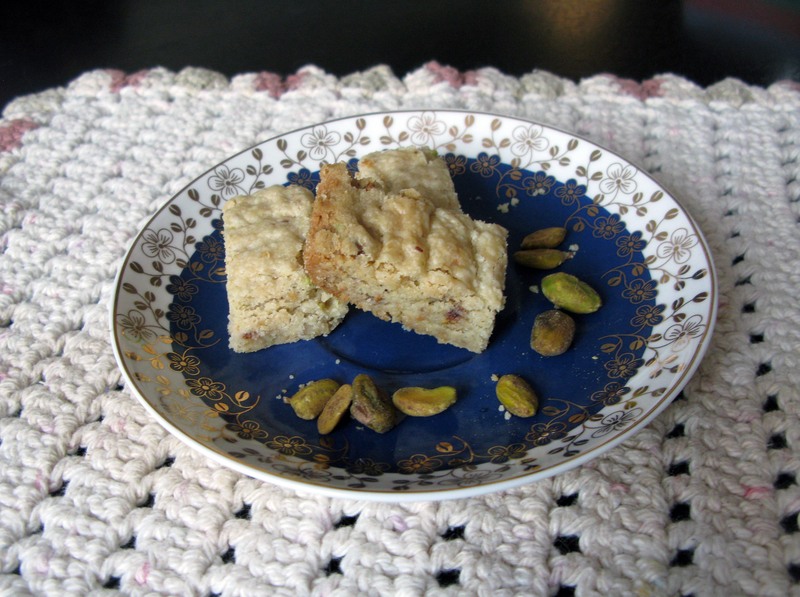 Heath Bar and Pistachio Shortbread | I Wanna Bake! After a long spell of baking block and exhaustion, I finally had the inspiration for a bakeventure come to me out of the blue. I was perusing the baking aisle in Target, like ya do, when I spied a bag of Heath Milk Chocolate Toffee Bits. Just like that, the idea to make Heath bar and pistachio cookies popped into my head. I eventually decided on shortbread because I suspected (correctly) that all the flavors would blend together well. 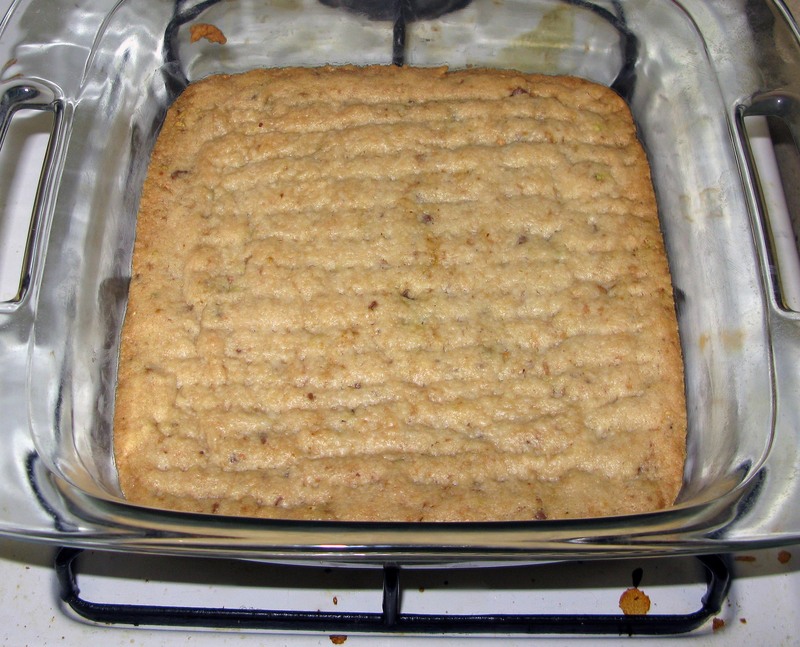 I adapted the recipe for Scotch Shortbread from Joy of Cooking. The recipe is incredibly simple; it only requires 5 common ingredients and can easily be mixed by hand, so no special tools required. You can use a dough scraper to easily cut your cookies when they’re done, but it’s certainly not required. Really the only change I made to the recipe was to add the Heath Bar pieces and pistachios. The whole batch was gone within 24 hours, so I’d call that a resounding success. You could easily switch up the mix-ins if you so choose, provided you keep the proportions roughly the same. Any more might mess up the texture of the cookies. As a side note, I tried something new with my ingredient photos for this post. I like it so far, but let me know your thoughts in the comments! I was feeling more like myself on this occasion, so I decided to go with my mix cd of my favorite happy songs (yes, I still make mix cds). For this bakeventure, I’m recommending whatever music makes you happiest (a bit of a cop out, I know, but I’m letting myself ease back into the swing of things ;-)). In a large bowl, cream together the butter, sugars, and salt until smooth. 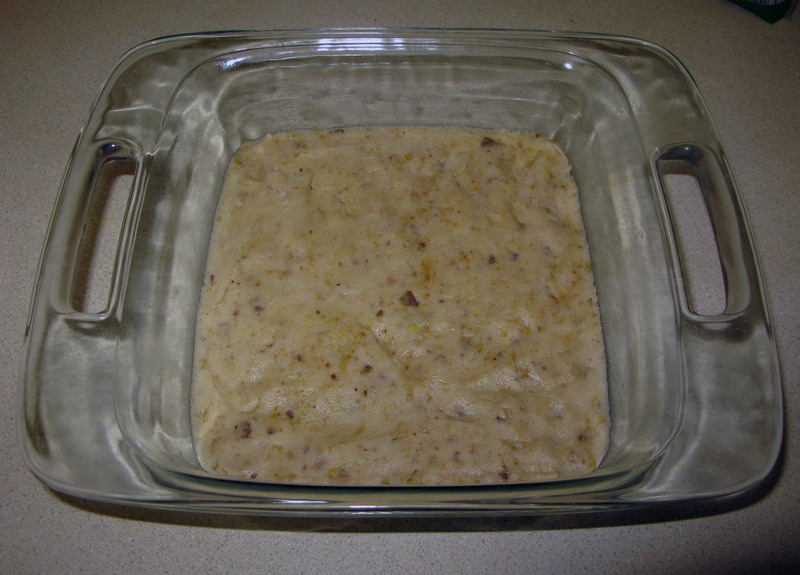 Stir in the flour until crumbs form, then knead until the dough comes together. Knead in the Heath Bar pieces and pistachios until they’re evenly distributed throughout the dough. 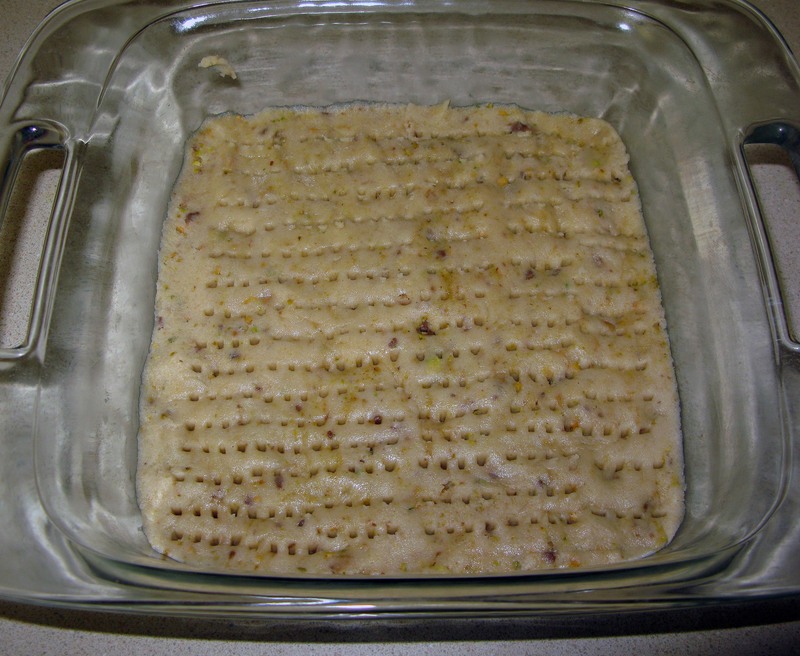 Press the dough into an 8″ square baking dish and smooth the top as much as possible. It doesn’t have to be perfectly flat, but you’ll have prettier cookies and a better chance for even baking if you can manage to get the dough mostly smooth. Prick the dough all over with a fork. You’ll want to poke the fork in just about all the way through the dough. Bake your shortbread for about 45-50 minutes, or until the top is golden and the edges are starting to turn brown. I let mine bake for 45 minutes and probably could have let it go for another 5, but I like my cookies on the softer side. Immediately slice your shortbread into 24 pieces (make 3 cuts in one direction and 5 perpendicular or 2 cuts in one direction and 7 perpendicular if you want longer cookies). I used a pastry scraper because it’s easy to get right up to the edge of the pan, but a knife will do just fine. Whichever implement you choose, just be sure to press straight it straight down and lift it straight up for each cut without sliding, as that can tear your cookies if the blade sticks to the still-warm inside. Leave the cookies to cool completely in the pan, then lift them out with an offset spatula or butter knife.